MORElab member Pablo Orduña presented on June 26th the WebLab-Deusto project within the Global Grand Challenges week of the Singularity University (Mountain View, California). 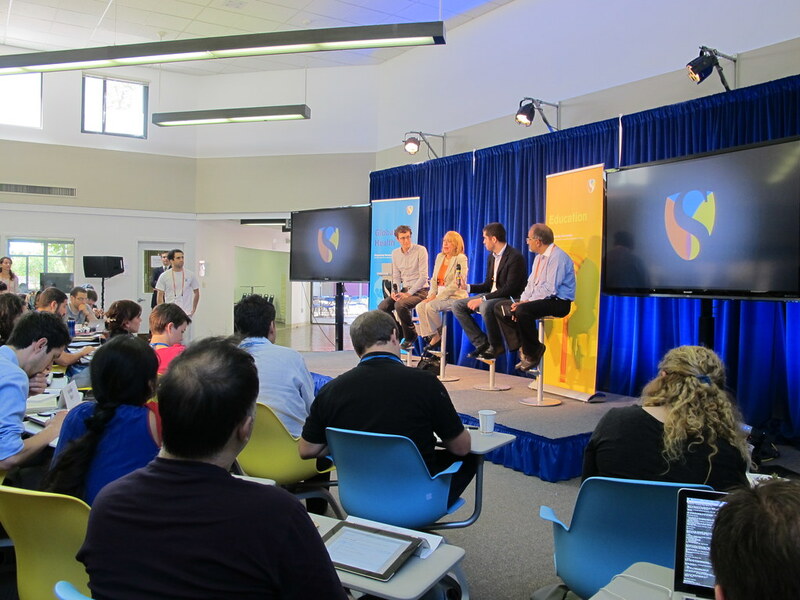 The Singularity University, located in the NASA Ames research center at Silicon Valley, was founded in 2008 by NASA, Google, Nokia, Autodesk and LinkedIn among other companies. Every year it offers a 10-week interdisciplinary program for top students and entrepreneurial leaders (80 selected from over a thousand) worldwide (36 countries in this edition), aimed at solving some of our most pressing global challenges.! From left to right: moderator Tom Simonite (Computing editor of MIT Technology Review), and education track speakers Vicky Colbert (founder of the Escuela Nueva foundation), Pablo Orduña, and Prasad Ram (founder and CEO of EdNovo -creators of Gooru-, past director of engineering at Google Research, CTO of Yahoo R&D India and engineer at Xerox).